Completely brushed finished titanium case with a polished finished bezel. 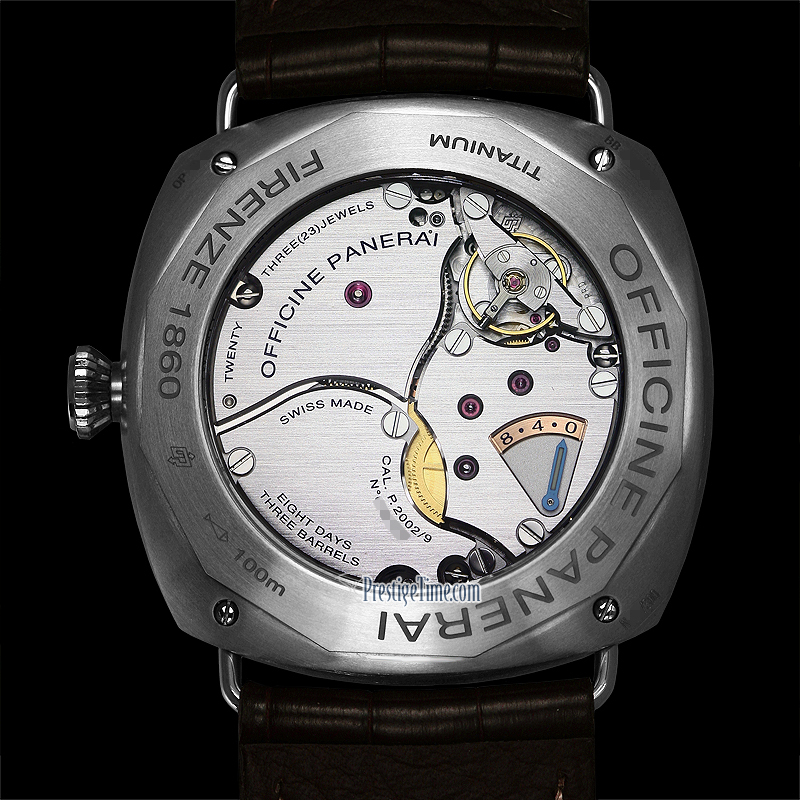 Power Reserve indicator located on the back of the movement - viewable via the transparent case back. 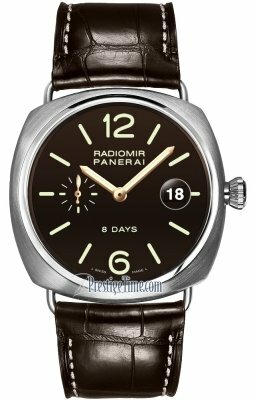 Matte brown dial with engraved luminous index & Arabic Numeral hour Markers. Polished rose gold colored hands with luminous fills. Magnified date window. 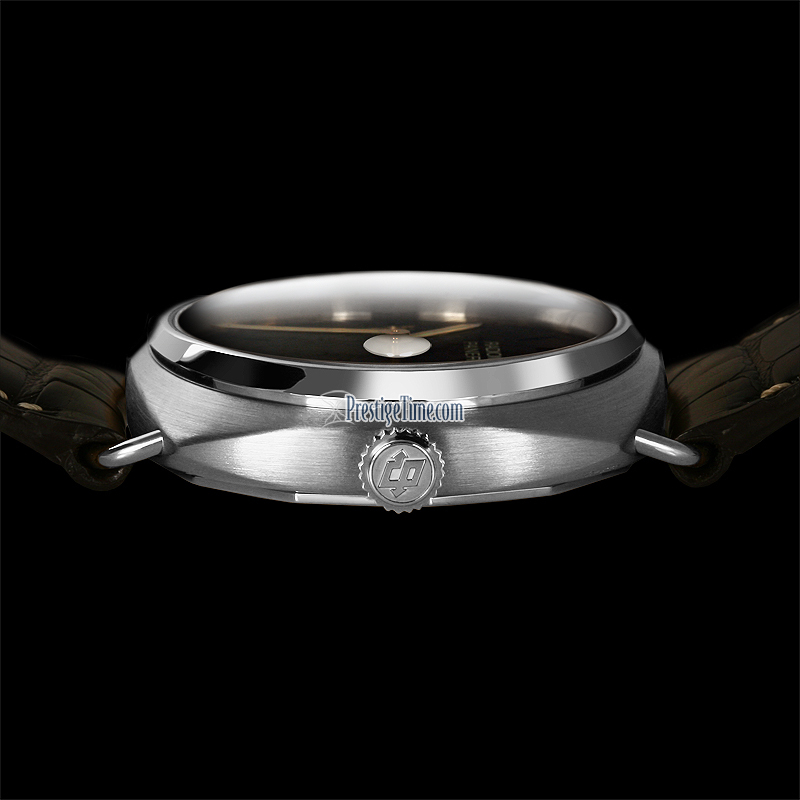 The magnifying glass is formed out of the crystal on the watch & is located on the underside of the crystal - eliminating the potential breakage. 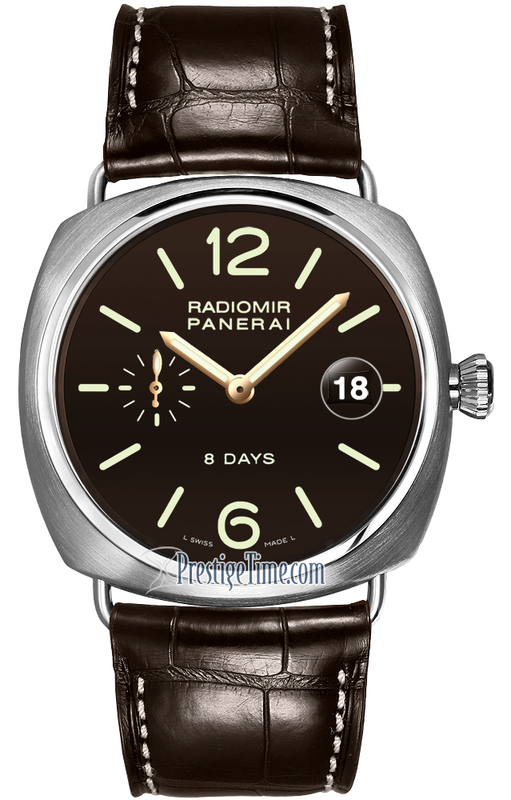 Panerai Calibre P.2002/9 - an in-house movement by Panerai. Beats at 28,800 vph, contains 21 jewels & has an amazing 8 Day Power Reserve.